Toddlers are bundles of energy and expecting them to sit still for a few hours is pretty much impossible! 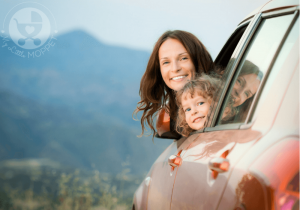 However travelling requires that all passengers remain seated throughout the course of the journey, so what is a Mom to do? Well the only way out is to employ the ‘trick of distraction’ and entertain your toddler through the trip so that he no longer has reason to fuss and jump around. 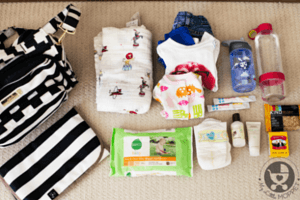 Now you probably think that packing all a toddler’s basic paraphernalia is a huge task in itself, so how are you going to manage the fun stuff? 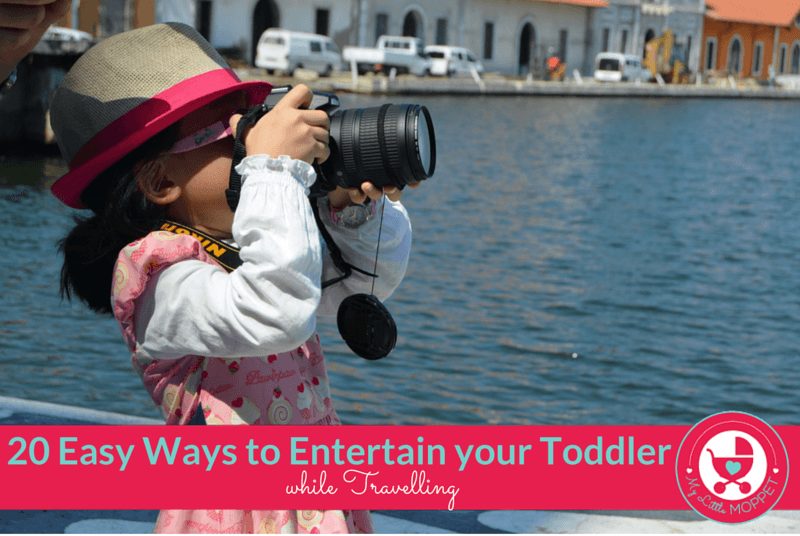 Don’t worry, we have a full list of different ways you can entertain your toddler while travelling- whether you’re going by car or plane, and whether you’re at the restaurant or at a beach. Cars and trains offer a little more flexibility in terms of being able to store toys and play with them. However, road trips in India also depend upon the state of the roads, so you need activities that don’t depend upon having a stable surface! 1. 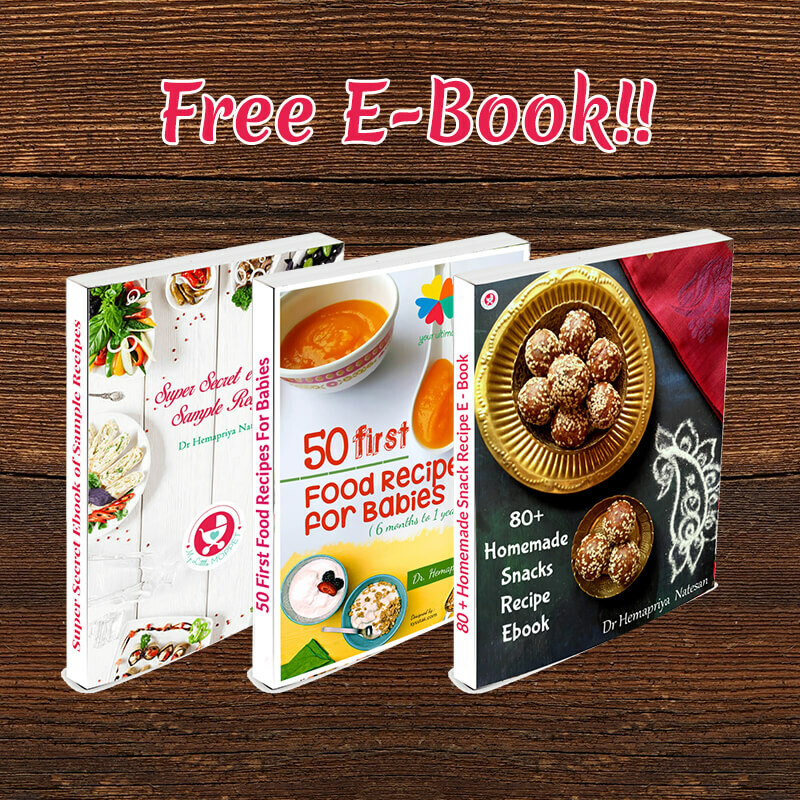 Books – The best entertainment for anyone, anywhere is a book! You can carry a few board books or interactive books that your toddler can flip through when he gets bored, but make sure they’re not ones he’s read before. In a car, an audio book is perfect, there are many options for all age groups. 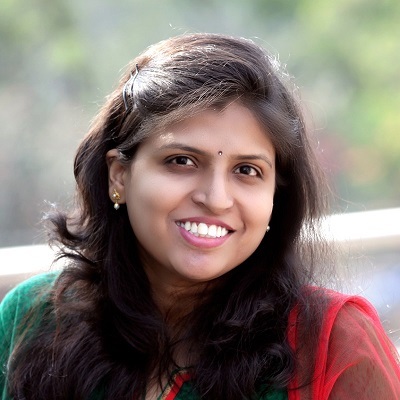 Amazon has audio book versions of classics like Dr. Seuss, The Gruffalo and more; you can also try out the audio books from Karadi Tales for some traditional Indian flavor. 2. Bubbles – One of the simplest joys of childhood is blowing bubbles; even adults get transported to another age when they do it! Get a mess-free bubble wand or gun so that your toddler doesn’t end up spilling bubble solution all over the car or train. There is something charming about blowing bubbles out into the wind as you go down the road! 3. Music – Before your trip, make a mix CD of your toddler’s current favorites – even if they include tunes you can’t stand! Rather than playing the whole tape in one go, play a couple of tunes at a time, then let them get hooked on another activity till they start getting antsy again. You’ll have to carry along headphones if you’re going by train, or else you’ll have to deal with complaints and dirty looks from other passengers! 4. Scavenger Hunt – This is a lovely game that keeps toddlers occupied as well as encourages their observational skills and helps them focus on actually enjoying the trip! Print out a scavenger hunt printable, laminate it and give your toddler a marker to cross out each object as he sees it. Here is a sample scavenger hunt printable, although you can easily make your own. 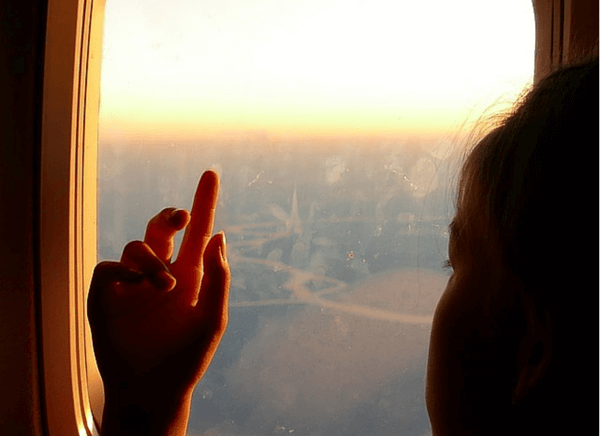 A plane can be one of the trickiest places to manage a toddler, considering the fact that there are no pit stops! However, the meal tray can prove to be handy, provided you don’t spend the whole trip picking up things that have fallen on the floor! 6.  Stickers – Kids love stickers, and the thicker puffier ones are ideal for toddlers’ little hands. You can either get a sticker book where they have to stick the accompanying stickers in specific places, or a plain scrap book and free-style packs of stickers. Another option is a packet of gel or window stickers which he can stick on the plane’s windows, peel off and stick again. 7. Apps – Technology can prove really helpful in certain situations, such as when you’re stuck in a plane with a fidgety 18 month old! There are numerous apps out there for all ages, and many of them are free. We’ll soon be doing a post on the best apps for toddlers, but in the meantime, you can check out My Very Hungry Caterpillar, Duckie Deck and Baby’s Musical Hands. 8. Coloring Book – If your toddler likes coloring, a brand new coloring book should keep him engaged for some time! Now, we know that it can be a nightmare picking up fallen crayons from the floor all the time, so we’d recommend those thick 5 in one star-shaped crayons, where each point of the star has a different color. 9. 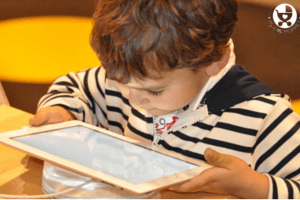 Movies – You’re probably not in favor of to much screen time for your toddler, but sometimes that’s the only way to get some peace for an extended period of time, especially on long flights. Your best option is to go for episode-based DVDs, where each episode is not more than 20 minutes. This will ensure your toddler is entertained but not overwhelmed. 10. Doodle Pad – This is one toy that is probably used more on travel than at home! A doodle pad will enable your toddler to draw, erase and draw again, that too without losing the pen! There are advanced doodle pads that help you draw special patterns – get one suited to your toddler’s abilities and interests. You’re done with your journey and have finally arrived at the hotel. You’d think that your toddler will try to settle down now, but the unfamiliar beds and bathrooms can unnerve him further. If your child is tired of all the books, apps and coloring, you’ll need to find some new ways to entertain him while you unpack and relax! 11. Bath Fun – If your hotel room has a tub, then you’ve got a whole host of possibilities to entertain your toddler! First make sure it’s safe and never leave your child alone in the tub. Then, find some objects around the room to play ‘sink or float’ and enjoy splashing around! 12. Bowling – This idea from Suitcases and Sippy Cups is perfect for hotel rooms! Line up all the hotel toiletries and hand your toddler a small ball to bowl and knock them all down! This is going to be a lot of fun; just be sure there are no chances for breakage and spillage. 13. Play Doh – Spread some newspaper on the floor and let your toddler sit on it with a tub or two of play dough. Hand him some modeling tools like rollers and spades and watch him exercise his fine and gross motor skills as he squishes that clay with his chubby little fingers! 14. Fort – Most hotels have nice, thick blankets and pillows, which come in very handy to build a fort or obstacle course for your toddler! Help him set one up, make sure it’s safe and then let him have fun entering and exiting his little Fort Knox! The same games which he got bored with while on the journey will suddenly attain new-found charm when placed inside the fort! 15. Sorting – You can do this with all the tea/coffee sachets you get in the room or with the toiletry bottles (once you’ve used them up). Hand your toddler some containers or pouches, and let them put the sachets in and out of the containers. We’d go so far as to recommend bringing some of your own sachets too, so that it takes them longer to sort! 16. Shells – This is an activity that requires a lot of adult supervision, so it’s not something you can leave your toddlers to do alone. Use a stick to move aside the sand as you and your child walk through the beach. When you find a shell, pick it up and give it to your toddler to put in a bag or bucket. This will avoid your child having to sift through beach junk like glass pieces. 17. Digging – There is something very satisfying to a toddler about mud and water! 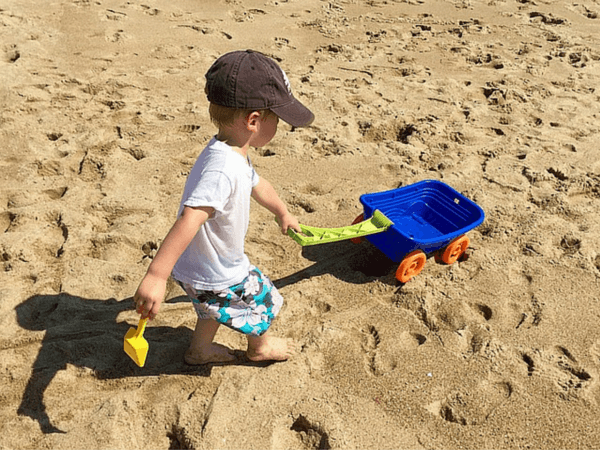 If you have a trip planned at a beach, be sure to carry along a small plastic spade and a pail for your toddler to dig away. It’s an activity that’ll keep him occupied for quite a while as you relax on the side. 18. Hopscotch – Of course, a little toddler can’t be expected to play hopscotch according to the original rules, but you can make a toddler version! Just draw squares in the sand, and ask him to jump or hop from one square to the other. It’s good exercise and you can click some cute pictures! 19. 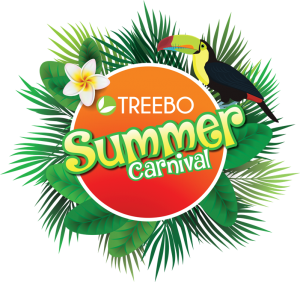 Treasure Hunt – Bring along some small plastic toys and bury them in the sand. Then ask your toddler to use his spade and find them all. You can make it educational by burying only red and blue toys and asking your toddler to put them into appropriately colored buckets. 20. Memento – The trips you have with your toddler are lovely memories for you to look back on years later, so why not create something that reminds you of these lovely occasions! Beauty and Bedlam has a full tutorial on how to make plaster of Paris casts of your little one’s hand prints or foot prints right from the sand. 1. None of these activities will work with a toddler who’s tired and hungry! So make sure he’s eaten well, napped and in comfortable, dry clothes before introducing an activity. 2. As far as possible, avoid sugary snacks that can give your child a sugar-high and make him hyperactive. You can keep one or two of his favorites, but opt for healthy snacks the rest of the time. 3. Your trip is two ways, so ensure you have toys or activities planned for the trip back too! Or else you’ll have a super-cranky toddler to deal with on the way home! 4. Keep one extra snack and one extra toy hidden in your bag for emergencies or a crisis situation like when you’re unexpectedly delayed or there’s bad weather or something. Don’t take it out unless it really is required! 5. If you have multiple kids, try to organize activities that involve both of them. If they’re bound to fight, have one of each toy/book/activity or else you’ll spend the rest of your trip refereeing! 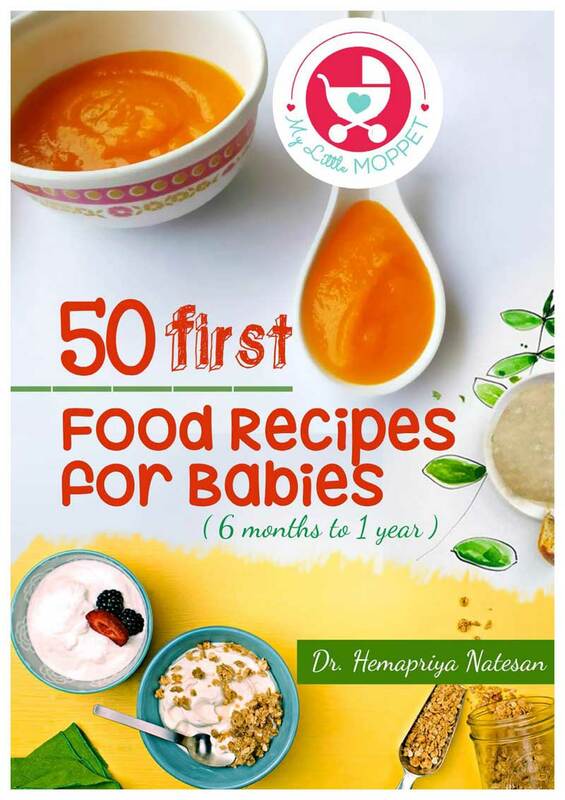 With so many ideas, you are now all set to enjoy your summer vacation with your toddler! It does require a bit of planning, but it’s completely worth the effort. With some forethought and smart packing, you can ensure a smooth, hassle-free and super-fun trip! 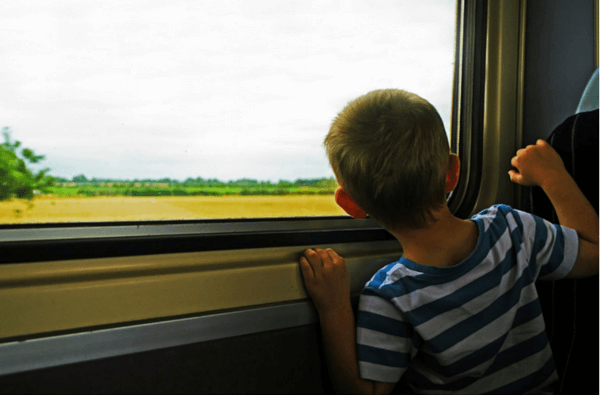 How to Travel with a toddler Without Driving Yourself Crazy! Surf Excel Laundry Tales: Laundry can be Fun!